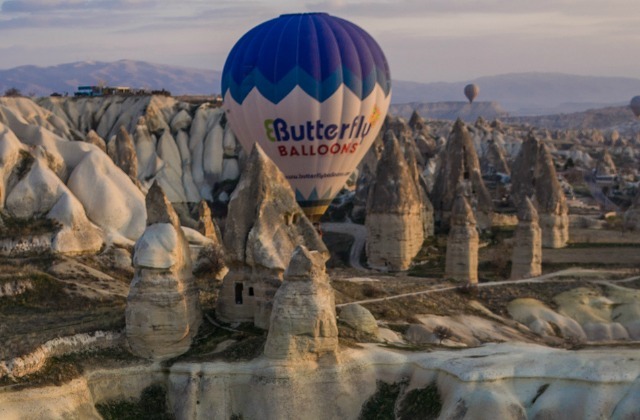 Fly from Istanbul to Cappadocia for more than a day or two. It will be time worth spent. Go on a hot-air balloon ride. It can be romantic for lovers, exciting for young adults or courageous for low adrenaline lovers. Be ahead of others by having a private knowledgeable guide. Listen up to Cappadocia's rich history, mysterious legends and please your eyes with the breathtaking views of rock cones, carved-in villages and churches. Pottery items at Avanos. Photo by Travel Turkey. Plan a tour from Istanbul to Cappadocia to discover more of Turkey's best sites. See UNESCO-listed open air museum - Goreme. Explore houses and churches carved into a rock. Be part of pottery making using unique red silt from the local river. Local tour guide will be with you during the whole trip. You tour includes two-way airplane ticket, 4-star accommodation, most meals and transfers. Go from Istanbul to Cappadocia by a comfortable car with a private guide. Pick up your loved once and have 5 days of insightful trips all the way to Cappadocia with a short tour of Ankara. Spend your first night in the capital of Turkey and then move on to picturesque Cappadocia with rock-carved dwellings, places of prayer and famous rock formations - fairy chimneys. Be ready for interesting insiders stories from your knowledgeable private guide. Your tour includes transfers and all entrance fees. Spend 3 days in Istanbul and 3 in Cappadocia. You will be discovering the city of 7 hills and the land of natural wonders for a total of 6 days with a professional tour guide by your side. Be ready for full-day touring in Istanbul with Topkapi Palace, Grand Bazaar, Blue Mosque and other sites on your itinerary. 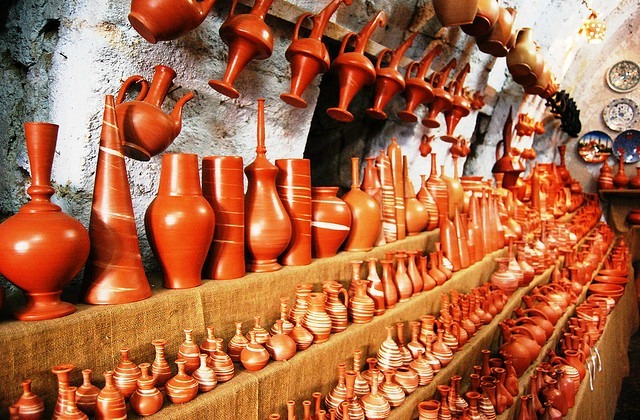 In Cappadocia you will go to early Christianity churches, underground cities and unique pottery art centers. Go for a hot air-balloon adventure (optional) while in Cappadocia or just enjoy the colorful balloons from earth. Your 6-day Turkey tour includes accommodation both in Istanbul and Cappadocia with breakfast. Tour also includes your tickets from Istanbul to Kayseri (airport near Cappadocia) and transfers. Reserve your sit early. Groups are limited to 20 people. Spend 2 days touring Istanbul's major attractions then fly from Istanbul to Cappadocia valley for another 2 days of your journey. You will have professional tour guide with you at all times. Go for a hot-air balloon ride while in Cappadocia to add even more color to your tour. Your tour includes Turkish traditional-style accommodation both in Istanbul and Cappadocia. You will also have all air-tickets and transfers arranged for you. Tour includes entrance fees and meals.